Late in the day, on a winter afternoon, on Marygate, ten years ago today. It’s not a brilliant photo, but the light’s nice. The reason I’m including it is because it’s one of the first photos I took on my first digital camera on my first digital-camera-equipped walk into York. It wasn’t a very long walk, admittedly, and I didn’t take many photos because I was getting used to the camera. But the photos soon after appeared as part of ‘York Walks /1′, which appeared on the web in early 2004. Ten years on Marygate hasn’t altered much. Other places have changed dramatically. I have the photos from ten years ago to prove it. Here’s the camera I took them with, in 2004 and for several years after that. 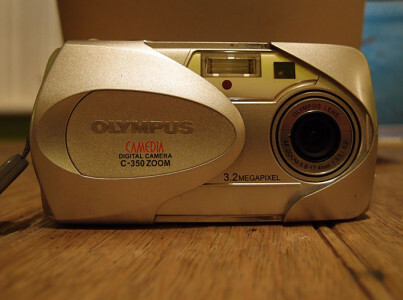 I loved this camera. I loved the way the front slid across and it then slid so easily into my pocket. In 2004 it felt like a lovely thing to have. Eventually, after years of use, it was showing its age and developing faults, don’t we all. They’re forgotten now, as I look at it in misty-eyed fondness, all nostalgic. As it got older it began to make a distinctive noise when the lens retracted back into the body of the camera, a noise like a sheep going ‘baaa’ on a distant hillside. Or was it a cow mooing on a distant hillside. I might have to put some batteries in it just to check. Hang on. I took its photo today with the compact camera I use these days. As I lined them up facing one another I felt a bit sad for a moment for this old camera, which doesn’t get taken out on walks anymore, and is in a box with various other old cameras. Usurped by a newer Olympus camera. Which has loads of arty filters and extra functions but just isn’t the same as that sleek shiny silvery thing with its sheep noise. Olympus Camedia, I loved you best, companion on my early travels. Even though the sheep noise really got on my nerves in the end and I had to give up on you and buy a replacement. We’re not yet at this site’s tenth ‘birthday’ – if it has one this is later this month, when I bought the domain name, or maybe later, when I had an actual site to put online. It never ‘launched’, as such, being a personal and small scale kind of thing. So when I walked down Marygate and to the riverside on this day ten years ago I didn’t think ‘I know, I’ll put these online on a website and make a record of York in 2004 and then carry on adding things for a whole decade!’ I just wandered, and had no plan. One thing just leads to another. We just do what we think is right at the time and we end up places we never expected. And we can look back on ten years, or twenty or more and … well, we could get all philosophical and maudlin and thoughtful couldn’t we. But let’s not. 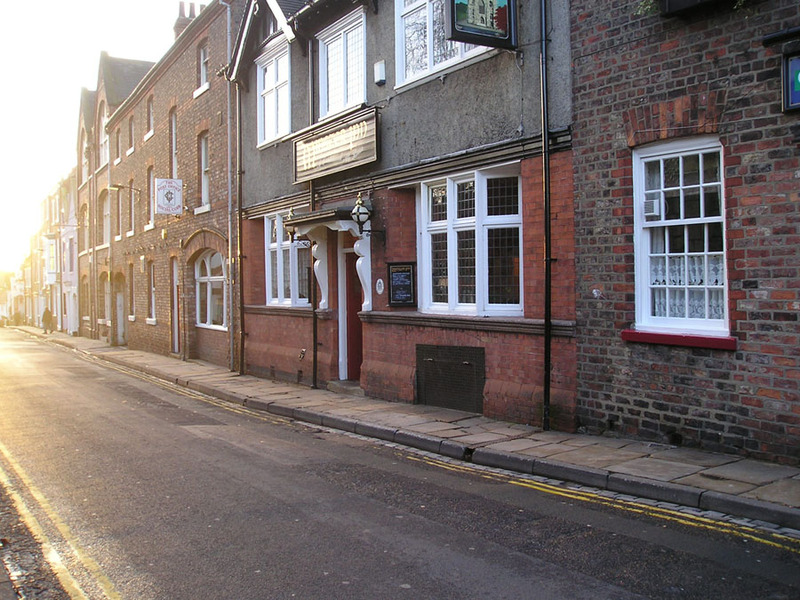 On 8 Jan 2004 I walked alone down Marygate with my new digital camera and took a photo of the Minster Inn in late afternoon sunlight, and all was well with the world. By Lisa @YorkStories • 8 January 2014 Web/website matters To link to this page's proper location please use the > permalink. I am planning to take the old camera on a wander quite soon.